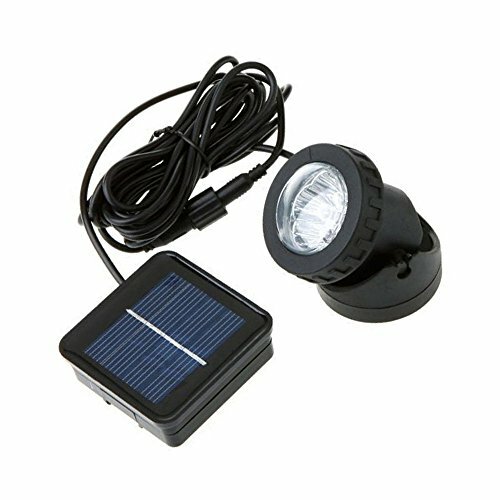 LAFEINA Solar Powered LED Spotlight, Underwater Light, Landscape Waterproof Lamp for Outdoor Garden Pool Pond Decoration | Fountain City Art Ctr. Note: Please put the solar panel under direct sunshine, don't put it under the water. The lamp can be put in water for a long time, especially perfect for decorating pools or ponds of which the depth of water is less than 6.6 feet. Weatherproof, It can be used for roadway lighting or garden decoration. It can be widely used for lighting and decoration of path, Courtyards, Gardens, Pools, Pond, Fountain, Etc.